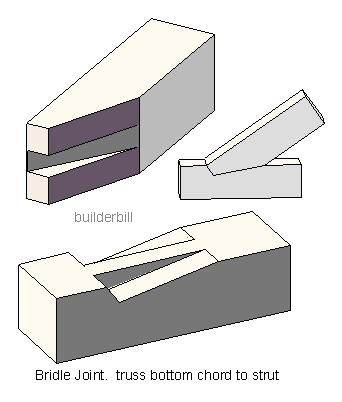 A joint between two members that is in effect the opposite of a mortise and tenon joint. More or less superseded now this joint was in effect a "poor man's" mortise and tenon joint, used in similar positions, but where looks didn't matter too much. For example the carcases of cupboards pre cheap panel products. They were also used greatly in traditional heavy truss construction and in shoring and bracing positions. 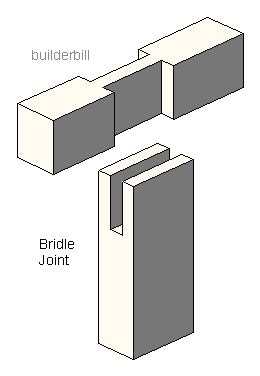 A large bridle joint is shown on the last page, in case you missed it.